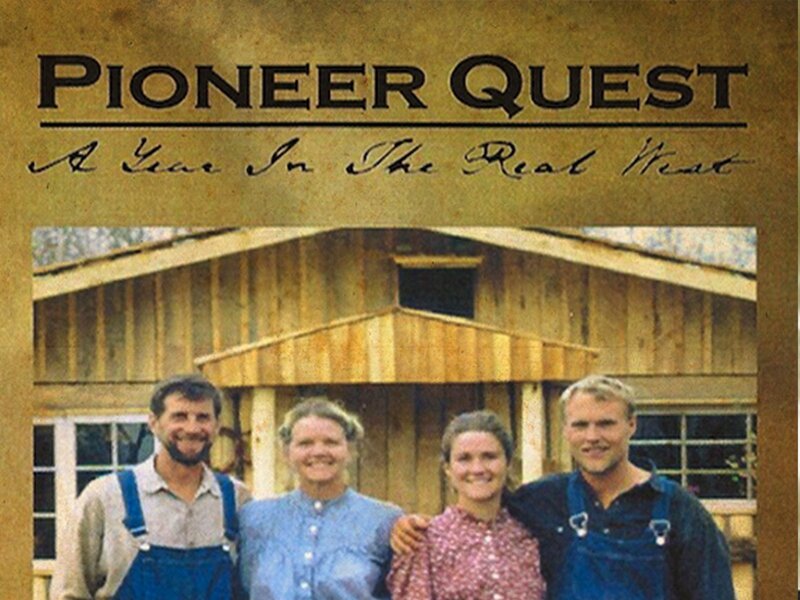 Last week I watched a documentary titled; “Pioneer Quest: A Year in the Real West.” (https://en.wikipedia.org/wiki/Pioneer_Quest:_A_Year_in_the_Real_West) It was the story of two couples who gave up everything from the 21st century to live life in the 1880’s for one year. They didn’t have electricity, running water, indoor or outdoor plumbing. They planted and hunted for their food, depended on a cow for milk and a team of two horses to do everything from plow the land for farming, to pulling a sleigh in the snow, and to get them wherever they needed to go. The biggest obstacles were to adjust their mindset from present day to the late 1800’s and their bodies to work harder and longer than they ever had before. The two couples, who didn’t know each other before, had their differences but needed to work together well enough to make it to the end of the year and possibly collect the $100,000 prize money. The show is a slow burn. It takes a while for the couples to get used to the pace of living in a way that required time and effort to do everything and for the viewer to accept that each episode won’t be non-stop action or suspense. However, once this is done there is a rhythm to the living this way and the watching this show. I won’t spoil the ending but watching it made me long for a slower pace of life. The folks in the documentary didn’t have the luxuries we have now, they lived in a one room log cabin, had to walk in all sorts of weather to go to the bathroom. No internet, no fast food, no power tools, no zipping to town to grab something forgotten at the store. If they didn’t have it they learned to live without it. I wonder if these are the keys to a simpler life; you don’t need everything and if you don’t have it you’ll still find a way to live and possibly thrive. My brain feels like mush today. The last several days I have been in South Carolina where I had the privilege to present a message on fatherhood to a group of people trying to save the world, at least their part of it. The conference was also near my mom and dad who gave Beth and me lodging as well as hospitality, and food. We left early last Saturday and arrived back home last night near midnight. Now the readjusting begins. As a person with a severe anxiety disorder rhythm and normalcy are important. When traveling I become over stimulated with all the extra noise, sights, interactions, and this drains me. After coming back home it takes me a few days to reorient myself and for my anxiety to dissipate. It helps if I begin to do the normal, rhythmic, everyday things again even if they feel foreign, which they always do following a trip away from home. However, the more I do them the more still my body and mind become. I let home wash over me I feel the anxiety settle, the pit in my stomach becomes more of a pothole and I can breathe. For home, stillness, and silence, I am thankful. Last week I wrote about raking leaves and how this ongoing chore is a part of the changing of the seasons; “Leaving Tomorrow Be“ (https://thewannabesaint.com/2016/10/29/leaving-tomorrow-be/). Today I was at it again. Same sections of the yard, same rake, same music playing in my ear buds, the same piles, except different, albeit still brown, leaves. Again, similar to last week, the wind was blowing so even as I raked more leaves were falling on the ground. Still, it was therapeutic; raking and burning. While doing the chore I thought about my week. Lots of internal changes have been occurring at work. Changes which cannot be avoided and are necessary for our team to continue helping the families and communities we serve. However, as noted by me many times on this blog before, I don’t like change. My severe anxiety disorder goes into hyperdrive when multiple changes occur in a short amount of time. My preference is rhythm, order, a familiarity, which helps bring balance to my life and peace to my mind. As I raked the leaves today and watched more fall in their place, I was reminded that life is never controllable, never truly ordered, not actually familiar, we simply fool ourselves into thinking there is rhythm. We like to think we’ll get everything organized and under control only to stand powerlessly by as the wind blows, dropping more leaves on a briefly clean yard; a symbol that nothing in the life is ever settled, predictable and under our control. This morning I was trying to explain to the dog that; “sniffing” was not the point of him being outside. Realizing, again, our Siberian Husky doesn’t speak English I felt something buzz my head. It sounded like a huge BumbleBee (https://en.wikipedia.org/wiki/Bumblebee), flinching I tried to spot the culprit and instead spotted a Hummingbird (https://en.wikipedia.org/wiki/Hummingbird). It was fluttering from one plant to another looking for nectar. I was mesmerized by its quick, sporadic, movement and “invisible wings.” I know that a Hummingbird’s wings are not transparent they just flap them incredibly fast and they are amazing creatures to watch. I forgot about the dog and watched the bird until it landed on a branch and began watching me. I was still as possible but Trooper had finished, came running back, and frightened it flew away. I reflected on the invisible forces which move in our lives, propelling us on our path. There are seasons when these unseen powers blow chaos, difficulties, and tragedies and like the leaves and grass we are helpless to stop it. 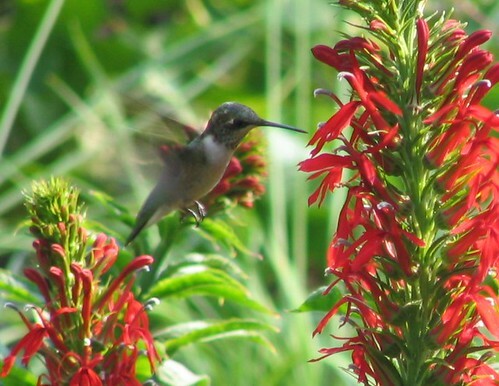 Other times, like the Hummingbird, with great effort we can choose to move to the rhythm of goodness and light. True wisdom is not knowing how to avoid the hard times but accepting both with grace and humility. Liturgy is one of my favorite parts of worship. I like the rhythm, the movement, the flow of a service. Contemporary worship, for me, is lacking this undertone of structure and meaning. Yesterday, I wrote about a gentleman in a “Declaration of Independence” shirt (https://thewannabesaint.com/2016/07/03/what-are-we/), but it wasn’t the only thing trying to disrupt the rhythm of the service. When scriptures, creeds, prayers and responsories are being read/said, I like to utter them slowly. I want to soak in the words, hear them in my heart, let them resonate with my spirit. However, behind me in service yesterday, was a woman who spoke loudly and quickly. She was often ahead of the priest as he was leading the congregants. It was almost as if she was in a race to see who would finish reading first. Because of her hurry and volume I found myself distracted and was having difficulty allowing the words to make their way past the surface. With frustration rising, I took a deep breath and did my best to let her pace not dictate my own. I focused on my breath, the words on the screen and allowed the voice of rushing, haste and swiftness to fade. It wasn’t gone but also wasn’t imposing its pace upon me. On my was home I reflected upon the woman’s rapidity and how easily it is to allow the speed of others to set the tempo for our lives. It’s a difficult discipline to learn; to live slowly, purposefully at a speed where we revel in and soak up each moment. Every breath and experience can be worship if we’re willing to resist the rush, find the rhythm which leads to harmony, balance and peace. The excerpt above was from my morning reading of the Rule of Saint Benedict today. It made me think of Beth. 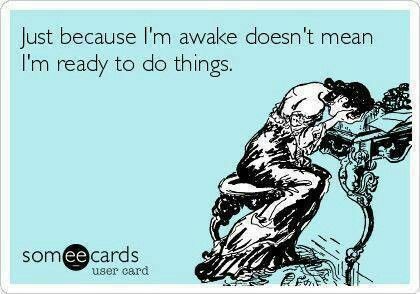 My beautiful wife can be described in many wonderful ways but being a; “morning person” isn’t one of them. When the alarm sounds, threatening to awake her from rest she’s not getting up without a fight. Finally, after several snoozes, she sits up, head down, exasperated sighs filling the air, one foot and then another are placed upon the floor. She shuffles to her closet, then to the kitchen and then to get a shower. Everything about her says; “I’d give almost anything for another hour of sleep!” There are a few approaches I have to help her get through these dreaded times. Some days I can engage her in a conversation, others I can be playful but mostly I’m quiet allowing her to locate the rhythm of her day. 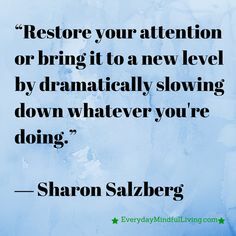 After 26 years of marriage I almost always pick the right approach to get her moving but there are some days when I choose poorly and quickly back off when it’s clear I’m pushing the wrong buttons. Wisdom teaches us that folks have different speeds on the path of life. Each of us finds our own rhythm and we must be careful to allow others to move at their own pace. Our gift to others is not making them go as fast or slow as we want but to offer the gift of grace and love when our lives intersect for a moment or a lifetime. It’s slow going today. A minor ice storm moved through the area last night and this morning, so everything was put on hold for a few hours while the temperatures warmed and chased the ice away. Days such as this are hard to navigate. You rearrange your schedule, work at home for a while, adjust to the glacial (pun intended) pace of a day that refuses to be rushed. In a conversation earlier this week I talked with someone about life and its absolute refusal to be controlled. Our plans, calculations, designs and anticipations most often come to naught because life refuses to be corralled and tamed. As I drove in to the office this mid-morning, the ice was losing it’s grip on the trees, gutters and power lines. I was reminded that we are at the mercy of life’s rhythm. Only when we accept our place will we be at peace.